Suede conjures up all sorts of images, and most of them related to either the 60s or the 70s, or cowboys, yes cowboys actually are my prevailing thought, am picturing them now wearing very weathered, very worn, beaten and battered tasselled shirts. But you know what? This season’s suede is fresh and gorgeous, and you can introduce it to your wardrobe and not feel like you’re in fancy dress. And it’s not just the obvious suede ankle boots, or slouchy bags, suede has been reborn in a variety of guises this season. 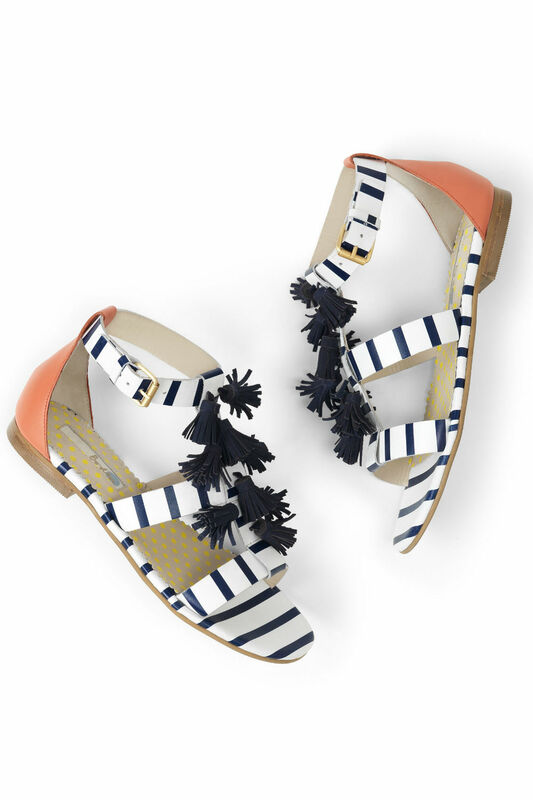 These beauties are from Boden. They are the perfect ever-so-subtle nod to suede with their suede tassels, they’re upbeat, fun and not OTT on the suede front. Team them with cropped boyfriend jeans at the weekend, and white summer dresses. They also wouldn’t look out of place with culottes (keep reading!) and a crisp shirt in the office. One word, LOVE. Hobbs have totally nailed it with this bad boy, the ‘Oakley’ jacket. It’s the sort of piece you will wear again and again and again and it will look better and better with age. It’s a strong piece but it’s not too 70s, it’s actually just a fab classic jacket that will work with a whole plethora of outfits. If you want to team it with denim flares and a pair of oversized specs do, but it’s equally chic with a scoop tee and floral skirt. 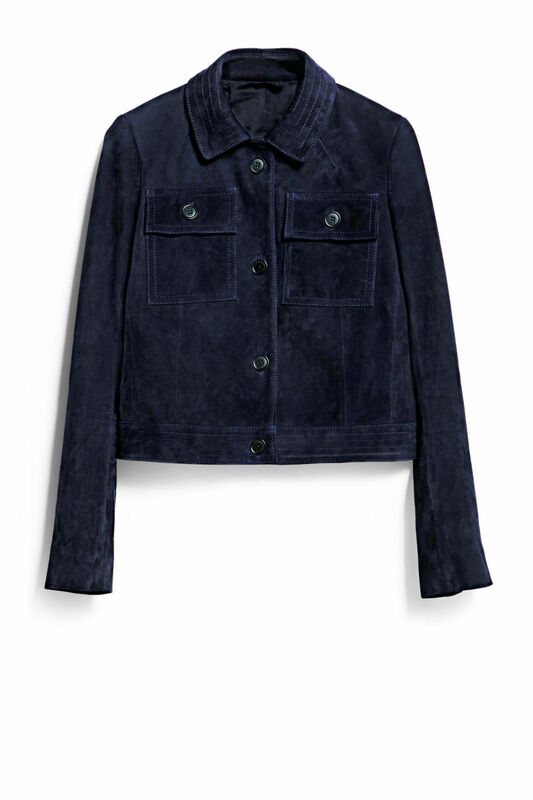 If you’re are totally up for embracing the suede in a 70s kind of way the piece that you MUST buy is the button-down suede mini. 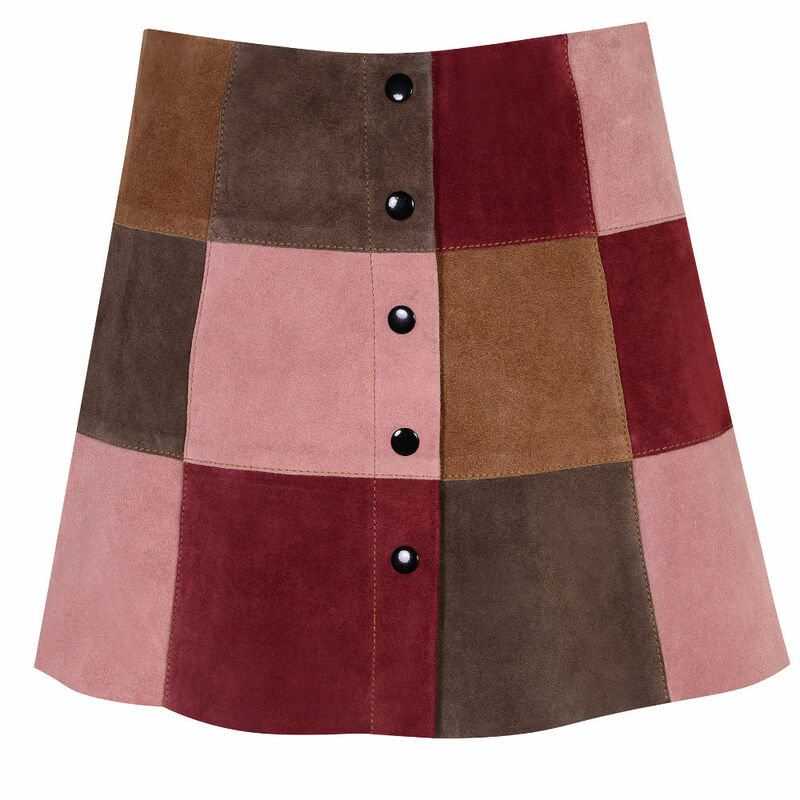 There are oodles of them, they are THE KEY suede piece. Our fave is this patchwork number from Topshop: ideal with a skinny polo neck and knee-high boots for all-out Summer of Love vibes. 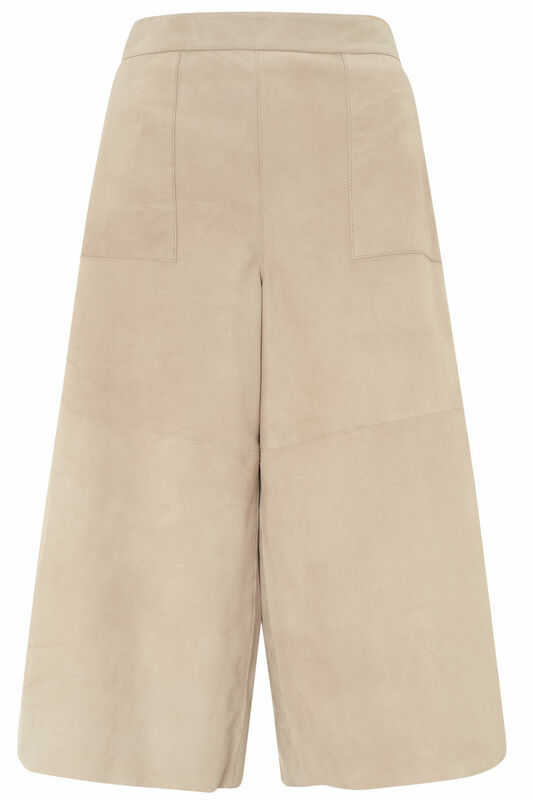 How fresh and lovely are these Warehouse culottes? Nothing heavy and lumpy about them in the slightest. Positively fresh and summery, in fact. The trick to making culottes work is making sure you wear with an amazing heeled shoe or Stan Smith trainer, and make sure they skim just below the middle of your knee and ankle. They create quite a full silhouette so do be mindful of not being too voluminous and try teaming with a silk blouse or fine-ribbed sweater. A classic suede piece coming up, and a très chic one at that. 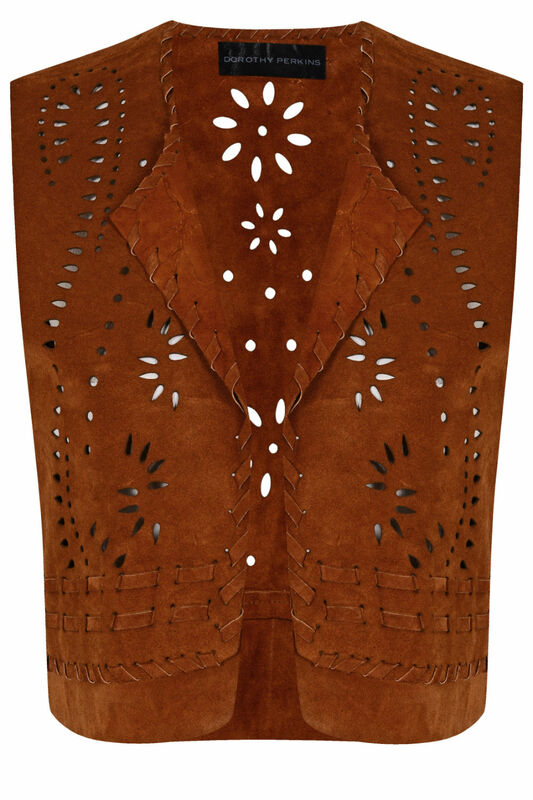 This Dorothy Perkins number is the best suede waistcoat out there, we are all over the dainty intricate cutouts and lacing detail, totally ensuring it stays delicate and light and therefore very wearable. We’d wear this at the weekends, either over denim shirts for walks or for evenings line-dancing the night away teamed with a metallic strappy vest.